What is the rotaion rate (revolutions per minute (rpm) of the stone just before the string breaks? 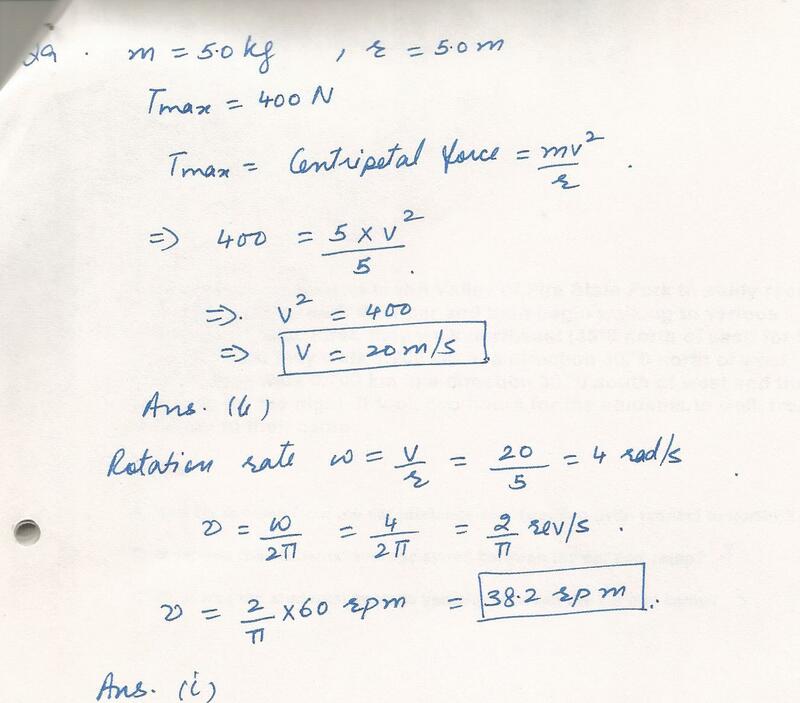 (a) 10. m/s, (b) 20.m/s, (c) 80. m/s(d)100 m/s (1.0 x102 m/s), or (e)400 m/s (4.0 xlo2 m/s) What is the rotation rate (revolutions per minute (rpm)) of the stone just before the string breaks? A car is moving on a horizontal road at a constant velocity that is directed 45% south of east. What is the direction of the angular velocity of the wheels? Two motorcycles are riding a circular track at the same angular velocity. 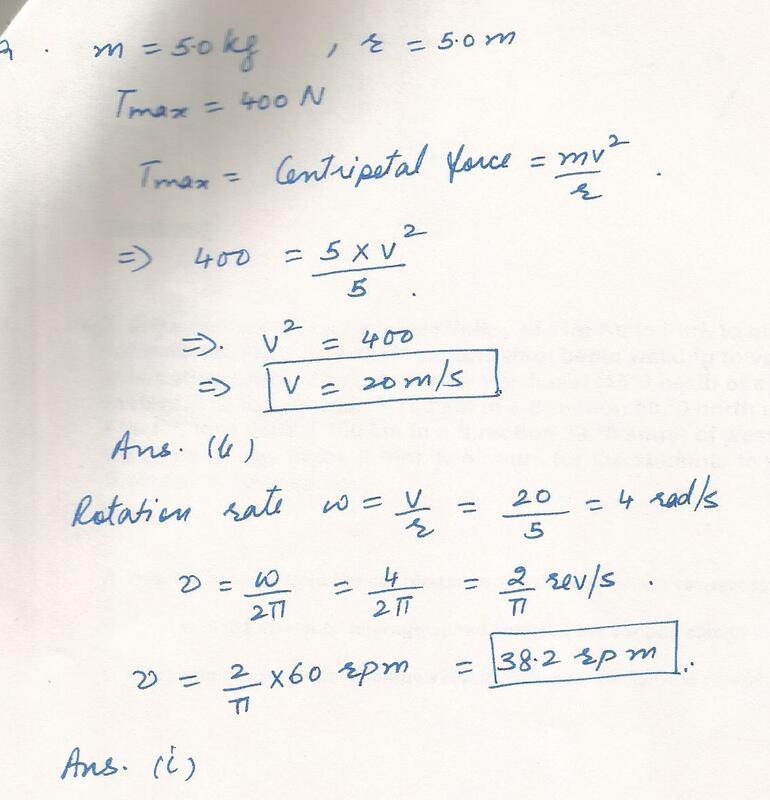 One is at a radius of 15 m and the second is at a radius of 18 m. What is the ratio of their linear speeds, v2/v1? A 0.254 diameter circular saw blade rotates at a constant angular speed of 117 rad/s. What is the tangential speed of the tip of saw tooth at edge of the blade? A car approaches a level circular curve (radius+60.0m). 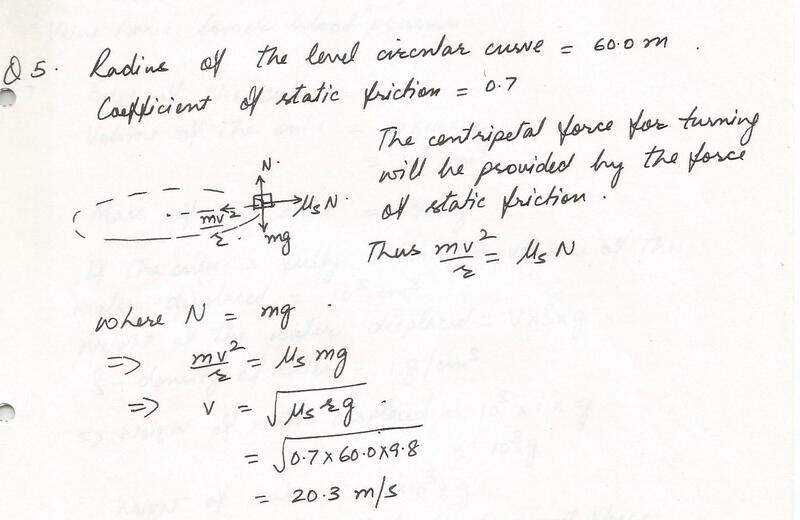 If the coefficient of static friction is 0.7, what is the maximum speed at which the car negotiates the curve at constant speed, without skidding? 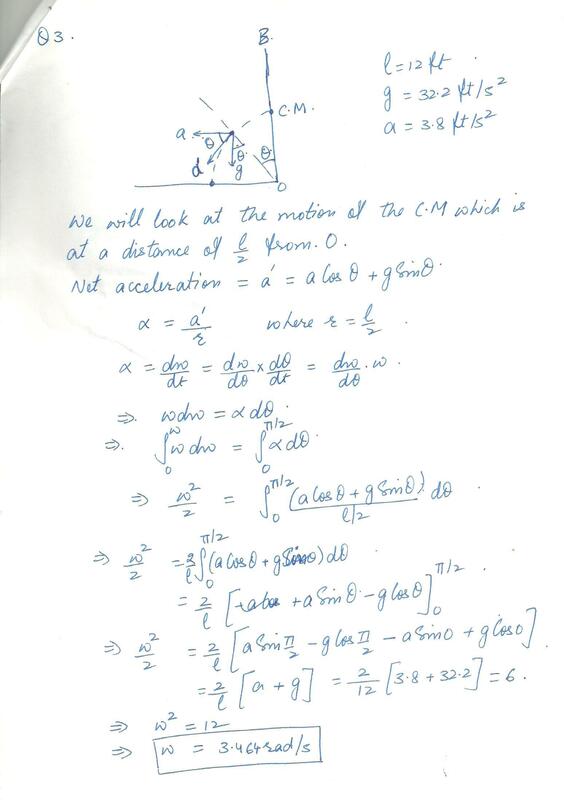 A point on the edge of a large wheel of radius 3 m moves through an angle of 37 degrees. Find the length of the are described by the point. a. 1.8 N away from the center of the circle. b.1.8 N towards the center of the cirle. c.3.6 N towards the center of the cirle. d.3.6 N tangential to the cirle. A wheel has eight equally spaced spokes and a radius of 34 cm. 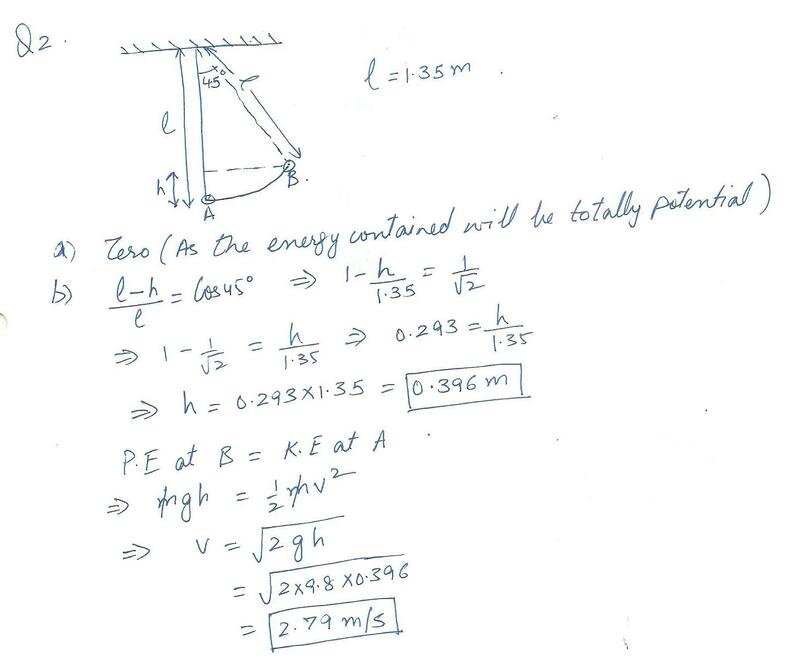 It is mounted on a fixed axle and is spinning at 1.4 rev/s. You want to shoot a 21-cm-long arrow parallel to this axle and through the wheel without hitting any of the spokes. Assume that the arrow and the spokes are very thin. What minimum speed must the arrow have? a) when they get to the other side of their swing. b) when they are the right at the bottom of their swing? 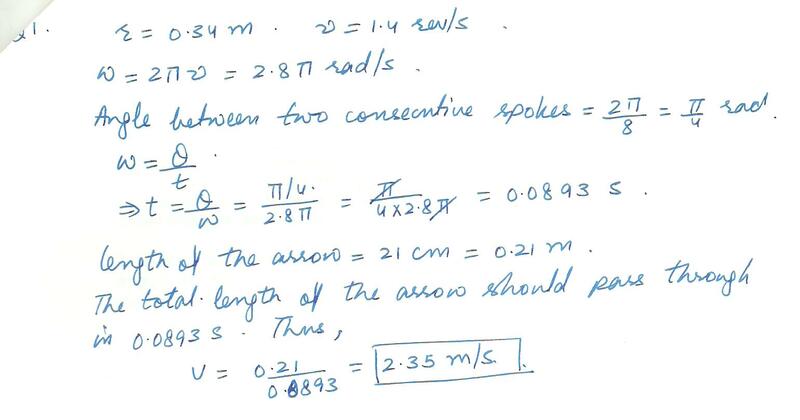 Answer the following question (s), showing your calculations.A runner moving at a speed of 5.3 m/s rounds a curved track with a 79 -m radius .What is the runner,s centripetal acceleration?